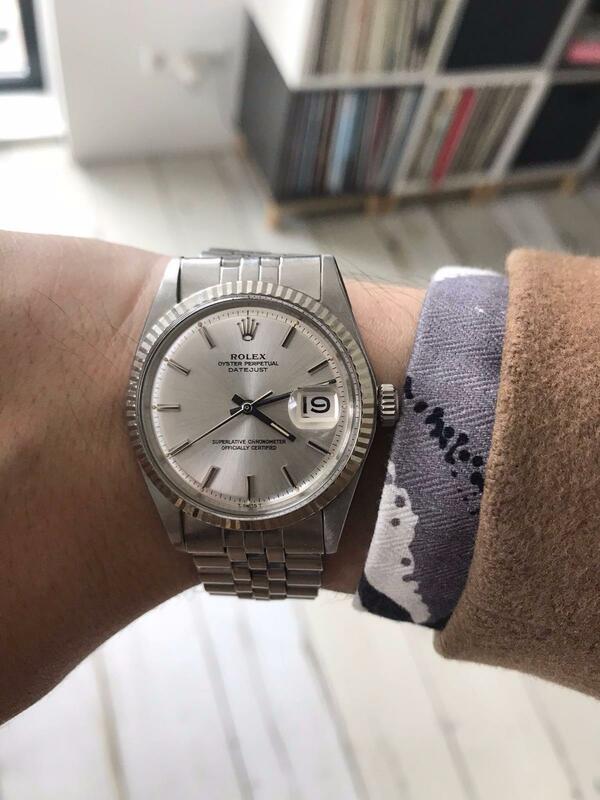 Selling my 1601 because I'm looking to buy something else. Dates back to 1969, so the slightly rarer folded jubilee. No box/papers. Classic silver dial, sharp lugs. More pics on request/will add later. fuk price £2650 / €3000 + shipping from Amsterdam. Or meet up in Amsterdam/maybe could fly to London. Edit: hands look black in the picture but they're just the original steel hands.